The special election for a congressional seat in Ohio is still too close to call one week after Election Day, and it looks like results won’t be finalized until the week of August 20th. 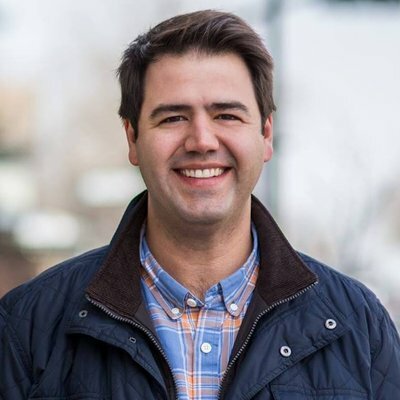 Democrat Danny O’Connor and Republican Troy Balderson – who will face off again in November for the right to serve a full term – are separated by less than a thousand votes in OH-12. This race has made national headlines because the numbers show that it shouldn’t be this close; President Trump carried OH-12 by 11 points in 2016, the same election in which the Republican candidate prevailed by 37 points. Now here’s the rub: If Republicans hadn’t been successful in disenfranchising voters in Ohio, the Democrat likely would have already won this race. Ohio’s practice of regularly purging its voter rolls has been so controversial that the argument went all the way to the United States Supreme Court, where it was upheld by the conservative majority despite appearing to violate a 1993 federal law designed to make it easier to vote. That’s why Blue Impact Network has identified Democrat Kathleen Clyde as a critical candidate to support in 2018. Electing Clyde as Ohio’s next Secretary of State solves two problems that could very well change the balance of political power in 2020. First, Clyde will work to register more Ohio voters instead of purging them from the system; research shows that Democrats are significantly more likely than Republicans to be removed from voter rolls because they are more apt to miss an occasional election cycle. Second, under language crafted as part of a proposed ballot measure in Ohio, the next Secretary of State would have an equal vote to the Governor on the next redistricting commission. Republicans currently control all five statewide offices in Ohio -- including supermajorities in both chambers of the state legislature – and the GOP holds a 3-to-1 advantage in the state’s congressional delegation. Changing Ohio’s political makeup begins with a new Secretary of State. Donate to Kathleen Clyde now and help Democrats level the playing field in 2020.